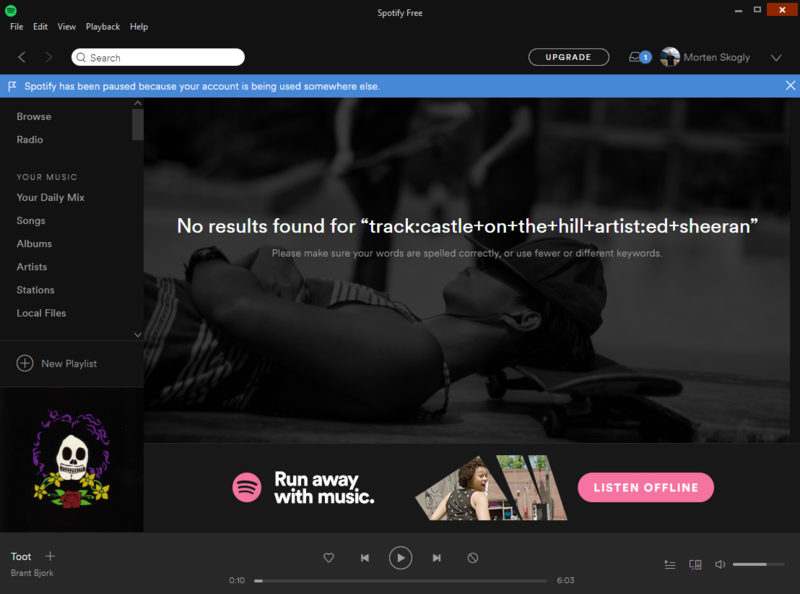 It seems that Spotify has made some changes to how one should format links when performing more complex searches, causing some problems with one of the services I work on. This post describes my solution. Castle on the hill Ed Sheeran. I put a question up on Stack overflow, but no luck there, and I got a negative answer from a moderator at the official Spotify developer forum. Luckily I had better success with contacting @SpotifyCares through Twitter. 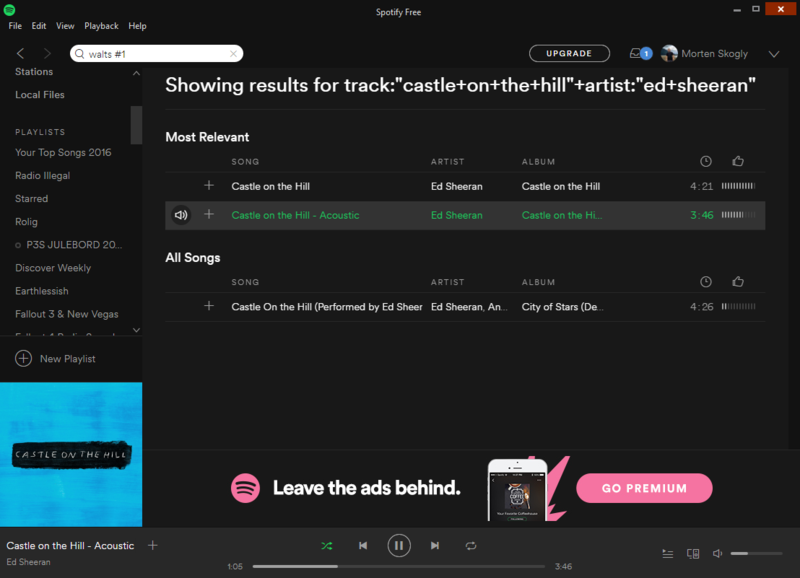 So, grabbing track:"castle on the hill" artist:"ed sheeran" and jumping over to http://meyerweb.com/eric/tools/dencoder/ for a quick encode gives me track%3A%22castle%20on%20the%20hill%22%20artist%3A%22ed%20sheeran%22. Boyahh! Big happyface! The biggest!